I’ve been a personal trainer now for over 4 years and have worked with over 300 clients. As well as helping clients achieve results they never even dreamed was possible, we have built a little community that is LPB Fitness. Even though it’s my workouts, nutrition advice and guidance it’s also my clients over the years who have made it what it is and played such a big part in the expansion and growth of LPB Fitness. Whether it be 1-1 Personal Training, group training, circuit classes etc. My clients have always found exactly what they are looking for and together we’ve modified a workout and nutrition program that is catered to them and also sustainable. If you’re struggling with your weight, you’ve hit a brick wall, you want to build muscle, improve your fitness, train for an event or just generally invest in my expertise instead of waisting your money on countless gym memberships and getting nowhere then please get in touch today. I promise you that it will be life changing. 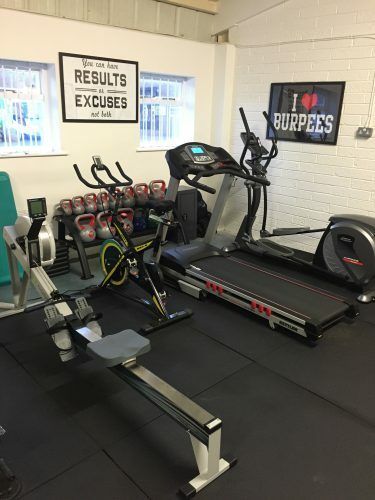 My personal training is conducted from my gym studio which is kitted out with everything a gym needs to get the best results. If you would like to train in a gym environment without all the hustle and bustle then personal training in my gym is just what you need. Contact me today, to discuss designing the perfect package to help you reach your goals.